Jansen Claw Foot Adjustable Piano Stool is rated 4.00 out of 5 based on 14 ratings. 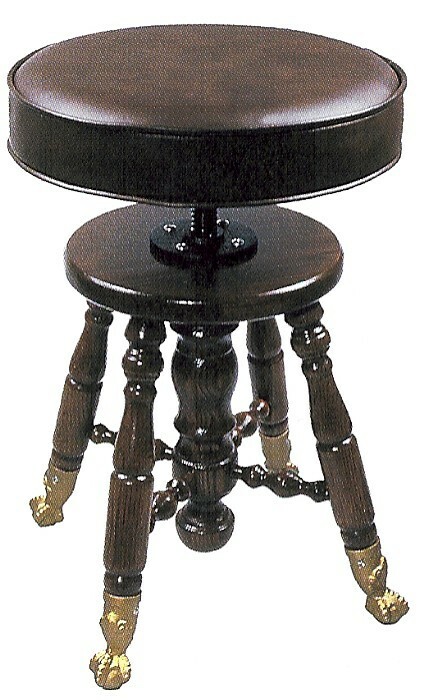 The Classic Claw & Ball Foot Piano Stool made in Wisconsin by Paul Jansen and Sons. Wood Top Claw Foot Stool Adjusts from 18" - 25"
Padded Top Claw Foot Stool Adjusts from 19" - 26"